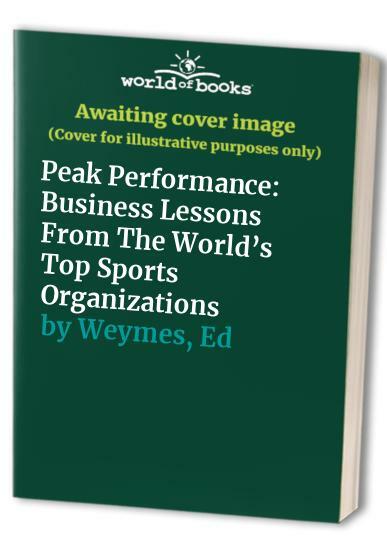 In a search for the principles of excellence, the authors analyzed effective organizations behind the scenes which enable various sports teams to achieve continuing levels of success, amassing evidence and interviewing key inspirational players both on and off the field. Teams such as the Australian Cricket Team, FC Bayern Munich, the All Blacks and Williams Formula 1 have all experienced unparalleled success in their sports, maintained year after year even as individuals on the team come and go. In today's highly competitive global market place these teams can remain in contention only if all the key elements are perfectly balanced and executed, from branding and marketing to training, selection and youth development. In their search for the principles of excellence the authors analyzed the highly effective organizations which carry out the operations behind the scenes which enable the teams to achieve these astonishing levels of success, amassing hard evidence and interviewing key inspirational players both on and off the field. Icons such as Michael Jordan, Frank Williams, Fr anz Beckenbauer, Sir Donald Bradman, Sir Peter Blake and Jonah Lomu are among the many figures who assisted them in their research.